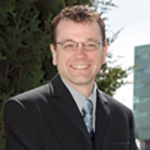 Chad Abresch, PhD, has been with CityMatCH since 2002 and was appointed to the position of Executive Director in 2010. Under his leadership, the organization has been recipient of the Maternal and Child Health Bureau’s Director’s Award and the American Public Health Association’s Martha May Eliot Award for Effective Practice. Chad is currently completing his PhD in public administration, where his dissertation research focuses on the public sector implications of network governance. He enjoys life in Omaha, NE with his wife Melissa and their four young children.